Finding the right words to describe Apple's new iPad is difficult. For one, it's hard not to tread over what's already been said about its predecessor. The device is fast, beautiful and still offers an experience unrivaled by any other tablet out there — just like the iPad 2. Secondly, you have to actually see the tablet in order to really appreciate it. That's because the new iPad's screen is as good as everyone says. When the device was unveiled earlier this month, the new iPad's introduction left me feeling a bit blasé. Here was a device that looks largely the same, save for an upgraded processor, better camera and LTE support. Cue in the iPhone 4S flashbacks. 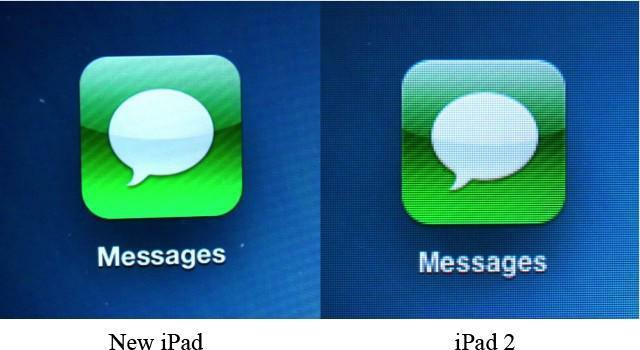 Sure, a commendable iteration, but as an iPad 2 owner, it was hard to muster the excitement. That is until I saw it in person. Like I said in my new iPad vs. iPad 2 comparison, you simply have to see the screen for yourself to understand just how good it looks. With a resolution of 2048 x 1536, four times the pixels got stuffed into Apple's new tablet — a million more than a 1080p TV. Pictures look amazing, text is super crisp and even simply browsing the Web is made more enjoyable. Put it this way: The jump in resolution is like going from an iPhone 3GS to an iPhone 4. The screen looks that good. Apple's new A5X chip absolutely soars, though the iPad's 2 A5 offering was no slouch. In fact, there wasn't an enormous difference in speed during normal day to day use. Apps, like Safari and YouTube run quicker on the new iPad, but there's not a night and day gap. Playing games, however, and you definitely start to notice the A5X's quad-core graphics prowess. I can't wait to see what developers come up with when games are made specifically for the new iPad's chip. 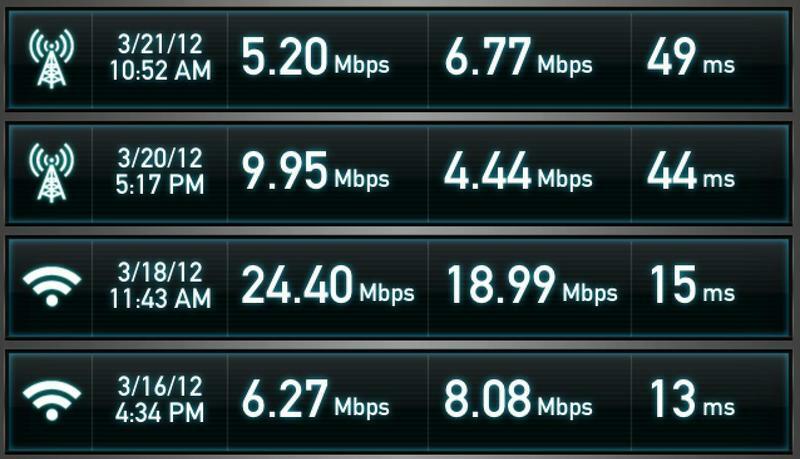 Speaking of speed, the device's newfound LTE capability is a thing of beauty. We got our hands on the Verizon version and, in Southern California, the mobile data speeds were quite good (as you can see in the video and in the screenshot below). For someone who's always on the move, the Verizon LTE iPad is really the way to go, particularly because of its ability to act as a mobile hotspot. Of course, depending on your area, speeds will vary. In addition, AT&T claims it's working on enabling the hotspot feature if that's the carrier you prefer. Apple managed to include a 42.5Wh battery this time around — double that of the iPad 2 — to compensate for the hungrier chip, better screen and built-in radios. The Cupertino company claimed overall battery life wouldn't be sacrificed, but unfortunately I found that just wasn't the case. The device is rated to get around 10 hours of casual surfing on Wi-Fi, but my testing and usage landed it around the 7 – 8 hour range, which isn't bad by any means. Usage will certainly vary on a user-to-user basis, so you may get more battery life than I did. Other improvements include a better camera, which actually snaps decent photos and video, and an improved speaker. 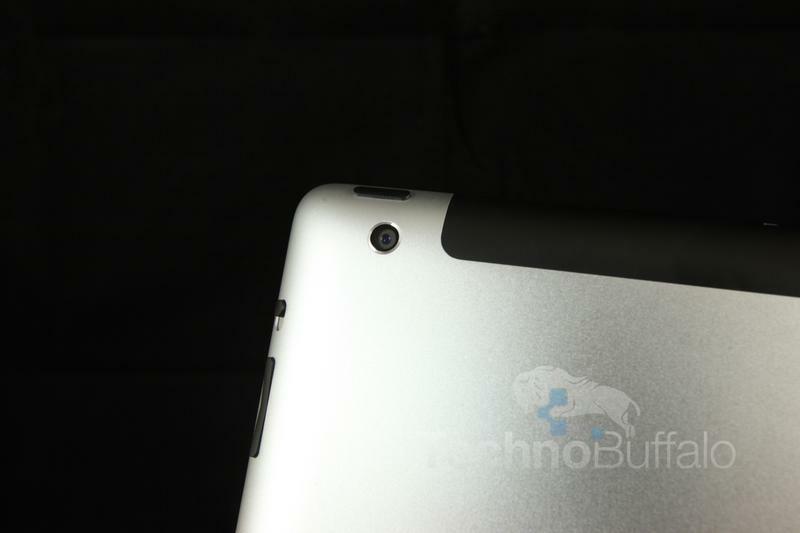 Quite frankly, the iPad 2's rear-facing camera was pretty awful, so it's nice to see better optics this time around. Unfortunately, the tablet is still plagued by the front-facing VGA camera, something I find inexcusable considering the bump in screen resolution. 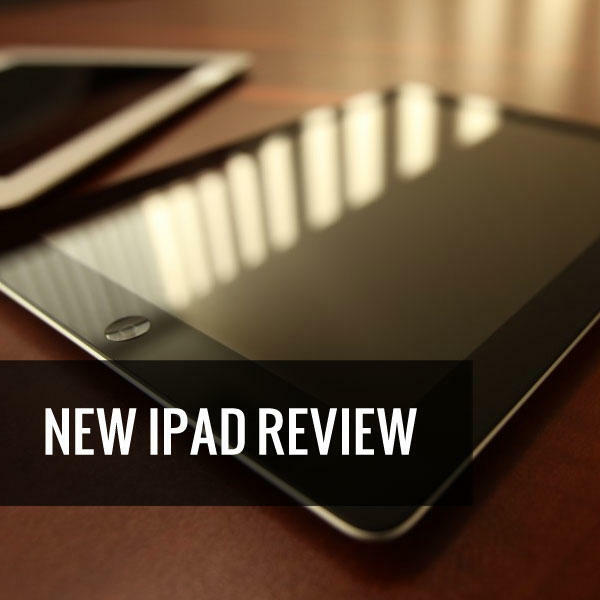 Overall, Apple's new iPad is a worthy device that earns its crown as heir to the iPad 2's market dominating throne. Sure, it's not perfect, and some aspects are merely logical and evolutionary (better camera, processor, design). But Apple still manages to offer a high-quality experience unmatched by anyone in the industry, at least in the tablet game. The screen is absolutely gorgeous, LTE is a great addition and the ecosystem is still second to none. As an iPad 2 owner, I can't justify an upgrade despite the new iPad's improvements, though many folks will understandably feel different once they see how good the screen looks. If you don't own a tablet, the iPad is still the best money can buy.